I know this is going to come as a shock to you, but I’m writing a post about United and it doesn’t involve dead or misplaced animals. Instead, let’s talk about something that is actually way more emotional… if you’re a pilot. You’ll remember United’s growth strategy that was unveiled in its most recent earnings call. Now the airline is publicly saying what many knew all along. This strategy is intertwined with the ability for the airline to get scope relief. This sounds a bit strange since United has the ability to influence this issue today, but it’s greedy and wants more. It sounds like United is doing its best impression of Veruca Salt here. American, Delta, and United all have pretty substantial outsourcing operations when it comes to aircraft under 100 seats. You’ve likely flown on one of these outsourced partners, the ones branded American Eagle, Delta Connection, and United Express. In the early days, the airlines outsourced freely, but they also generally focused on small props in small cities that didn’t really interest mainline employees. In the 1990s, the regional jet came out, and then bigger regional jets became more popular in the 2000s. All of a sudden, outsourcing became contentious. Airlines liked to use regional partners, because they could do the flying for less money. And on a small airplane with fewer seats, that made a big difference. It also hurt mainline jobs. The pilots at the mainline airlines were powerless to do much when the airlines could continue to flail and point to red ink. Once things stabilized, however, the pilots fought back. Enter the importance of what’s called the “scope clause.” This clause in pilot contracts is the biggest limiter in determining how many airplanes can be outsourced to regional partners. These scope clauses used to be all over the map, but over time, the big three have seen the details converge. Basically, the airlines are allowed to outsource aircraft with 76 seats or fewer, and there are numbers limiting how many of the larger 70/76 seat jets can be flown. There is some nuance here, but I’m going to simplify to get my point across. Here’s how the big three stack up in terms of what they can do. As you can see, American’s number is a moving target, and the airline has more flexibility than the other two at this point. But you can also see that Delta and United are basically identical. The one difference? When Delta brought on all those 717s as new mainline aircraft, the agreement allowed the airline to also add 70 new 76-seaters to the regional fleet. United can do that too, but it has, on multiple occasions, declined to bring smaller airplanes into the mainline fleet. So, if United wanted to get scope relief, shouldn’t it just buy a C-Series or Embraer E2 fleet and get those extra 70 regionals onboard? You’d think. And there are rumors that the airline is once again interested, but apparently even that wouldn’t be enough. Nevermind that Delta is outperforming everyone with the exact same scope clause United has. United wants to cherry-pick. It wants Delta’s profits but American’s scope clause, and the airline is getting more vocal about it. It’s been reported that at the J.P. Morgan Aviation, Transportation and Industrials Conference last week, President Scott Kirby discussed the issue. Speaking Tuesday at the JP Morgan transportation conference, Kirby said he is intent on “driving higher connectivity and revenue quality” by providing more capacity from cities such as Columbia Mo., and Rochester Minn. to United hubs. Such routes can only be efficiently served by 76-seat regional jets, he said. And that is the piece of the strategy that didn’t come out initially, but it was always an underlying theme. Right now, United is building up these small markets on the back of 50-seat jets, because that’s what it can fly. But those aren’t going to work in the long run. You would think that if United ordered 100-seat airplanes for its mainline fleet and then added 70 of the 76-seat regionals, that would be enough, but apparently it’s not. He clearly wants American’s scope clause at United. To that I say… good luck. Pilots value scope, mostly because they know the airlines value it as well. It’s a bargaining chip. When Delta came to the agreement to add more 76-seat jets, it had to give the pilots a lot: a brand new fleet of 717s (and soon, C-Series aircraft). The pilots at United aren’t going to simply give scope relief because Kirby says the plan will lead to more mainline growth. Even putting growth plans in writing won’t help. Pilots have been burned before by plans that just get thrown in the trash can when the next downturn arrives. I know the industry is supposed to be different now, but you won’t find a labor group that’s willing to make that bet just yet. Were I United, I’d focus on adding a small mainline jet and then getting big regionals first. If that’s done and the airline can make a coherent pitch on why it needs more, then it can try to figure out a way to negotiate it. That, however, is going to be very difficult. Good post, but your Delta and United scopes are backwards in the chart. Bob – Shoot, shows what happens when you rush to get out of town for a quick vacation! It’s fixed. great article… the real issue is that 50 seat regional jets have at best about 5 years left in them because of age-related maintenance requirements and pilot costs which make small aircraft harder to justify economically. Consolidation is supposed to make hubs more efficient which removes a lot of need for 50 seat regional jets; Delta used the 717s to remove a couple hundred 50 seaters and now operates about 100 less of them than AA and UA. AA’s number of large RJs is essentially fixed because the company has said they intend to keep their mainline fleet size relatively constant over the next few years. Thus, AA and UA have several hundred 50 seaters to remove within the next 5 years or so while DAL has about 100 less. DL has committed to 2 types of small mainline jets (the 717 and C Series) while AAL and UAL have so far committed to nothing in the category. Delta is adding the C Series because it makes sense for the airline, not because of relationships with the pilots per se. The C Series has best in class economics and performance for any small aircraft; it simply makes sense to grow mainline and DL pilots will benefit. 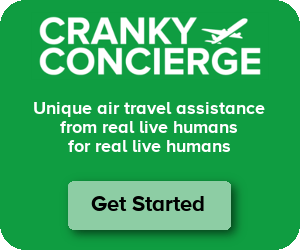 AA and UA are both trying to bulk up their network esp. at ORD using regional jets – and then the trickle up effect on larger markets – but having two hubs at the same airport divides many small markets between two airports. Add to both of those realities that UA has lower market share in its domestic hubs than AA and DL and UA is faced with a major challenge to increase the size of its hubs without flooding the market with aircraft that are too large. Thus, Kirby’s “need” for lots of large RJs makes strategic sense but doesn’t align with the needs of pilots – which is stability in the midst of the best period in terms of profits the US airline industry has ever seen. Add in that UA dumped older 737s a decade plus ago and replaced them heavily with RJs and UA pilots have reasons to make sure their jobs will be secure for many contracts into the future. This will be interesting to watch because it has enormous implications for UA’s future as well as that of its pilots. The issues at stake for both sides are increasingly apparent so the process now has to work itself out. But….. Moving to larger aircraft is not the answer when you are looking at the hub you mention – ORD. Many airports currently served are marginal performers. Looking back to the ’80’s and ’90’s before RJ’s came along there were many airports with turbo-prop service that lost that service when the RJ’s came along. The RJ’s came at a price – larger capacity, and the business wasn’t there so they lost service – and have not re-gained it. Moving to larger RJ’s in the 70 – 76 seater range isn’t the total answer. It could be history repeating itself. There are multiple markets that could profitably sustain 19 – 35 seaters and the most suitable aircraft is another turbo-prop. With the major plans to develop and expand ORD these markets will become part of the plan, in my view. You are absolutely right that the ability to upgrade routes to larger aircraft is a function of the hub and the competitive environment at that city. Smaller cities have smaller amounts of low and very low fare activity so those markets don’t get stimulated as much as big market such as to Florida and California (just to name a few big market groups). UA does have other hubs including IAH and EWR where they have higher percentages of the total market so that they should be able to use larger aircraft including small mainline aircraft like the C Series or E jets and allow large RJs to be used in competitive markets where it is harder to grow demand because of competition or fewer low fares. As is noted below, customers prefer mainline service because for nearly all US airlines there is more service consistency. Second choice is large RJs with first class cabins which provide the possibility for upgrades, an advantage the big 3 plus AS has over WN. Last choice for most people is 50 seat RJs. Unfortunately, UA is growing its network now by grabbing the 50 seat RJs it can get and regional airlines can hope to staff with pilots but everyone knows those 50 seat aircraft are not a long-term solution. Looking at the corrected graphic above, UA Is at a disadvantage to DL because UA has not taken advantage of the small mainline option which would increase the number of large RJs it can operate. The real question is why UA can’t be happy with ordering small mainline aircraft like the C Series and E jets and then get a bump in the number of large RJs. As a Delta FF the addition of the 717 has been very nice from the customer side. Nobody will argue it’s a far more comfortable aircraft than the CRJ and since they were brought into the fleet I’ve been on far fewer regional jets. Moves like that will keep my loyalty with DL. I’ve also seen WN advertise that all their flights are on “large” aircraft. To anyone that has put in hard miles on regional jets being on a mainline aircraft is a selling point. In that sense I think UA ought to add something like the C-series. I know most people don’t look at equipment when booking but the most profitable customers will notice, especially if they’ve been forced into a CRJ-200 more than a couple times in the not so distant past. it comes down to price and schedule 90% of the time. The only exception is 50 seat RJs which have no extra legroom or first class, I will intentionally book away if possible. I think the key challenge here is that UA doesn’t really know what it wants to be when it grows up. DL is clear – match capacity to demand on a route, play for profits over marketshare, make a differentiated experience customers will pay for. That means wifi, studio, refurbished cabins on all flights. What is UA’s strategy? Advertise Polaris while expanding basic economy? Expand network in smaller cities, but not add a small mainline aircraft? There is unclear strategy and the operation reflects that…. The 717, like RJs and every other domestic mainline aircraft, have first class cabins which allow frequent flyer passengers to either pay for an upgrade or possibly get one via status. Given that Delta has 100 less 50 seat aircraft than AA or UA, the chances of getting on a plane with a first class cabin are much higher. Large RJs also have Wifi and some large RJ flights offer some type of meal service; few if any small RJ flights do. First class cabins as well as comfort plus include free alcohol. There are real product attributes to two cabin aircraft and some airlines have tried to make sure the product offering between large RJs and mainline is more alike than between small and large RJs. Great post, Cranky. Aside from the unique circumstances of their acquisition, I think the 717 and smaller mainline narrowbodies in general are a more intuitive fit for DL and UA, which could explain some of UA’s historical disinterest in the sector. Specifically, since DL’s hubs tend to be in smaller markets and their average stage length tends to be lower, it’s probably easier to use a 100-110 seater to its full advantage. That said, building up connectivity at a legacy’s scale requires a diverse fleet as far as size is concerned. I agree that CS100s would bring a good missing link at UA with the added benefit of allowing more regional growth. Those pesky unions. You know if they agreed to work 18 hour days and slept onboard parked aircraft overnight, just think of the improvement to the bottom line!!! If UA wishes to run an airline that is mostly or completely outsourced, it’s lost me as a customer. If it wants to serve cities where it believes it cannot make money using an A319 and must outsource, and it believes serving such cities is important and worthwhile, OK, I can understand that. But, when it outsources routes like IAD to MSP and DFW, count me out…been there, done that, no more. I invoke my “never clause” for these types of service. Living in South Bend, Indiana, is making me think of these contracts. We’re about to get our first regularly scheduled Regional Jets with first class seats into SBN when American Eagle begins flights in June to DFW and CLT. Today (not including the Allegiant Sun destination flights) we just have United and Delta 50-seaters to their ORD, EWR, DTW, MSP, regularly scheduled although Delta in particular upguages their flights on ND football weekends. At least some first class seats (although I have no idea if AA will have any competitive fares) means we may be finally able to fly out of SBN with my father in-law who’s disabled and can only fly in a first class seat (normally we drive to Chicago and fly Spirit booking him – or all of us, when the price I s reasonable – in a Big Front Seat). There is no reason for the pilots to give up anything on scope clauses. A 100-seater would be perfect for markets like LAX (long and thin) or even IAD. If Delta can do it, and run the most profitable of the Big 3 airlines, I don’t see why United can’t. They should just get the C-series and move on with it. I knew this had “SCOTT KIRBY” written all over it before I’d even read his name in the article. What Smisek started, Scott will finish. Except Scott seems to loathe both the customer AND the workforce, whereas Smisek really just loathed the customer! No, Smisek loathed the workforce as well!! If airlines could just find a way to have customers hand over money without wanting to actually go someplace, that is the perfect airline company model, for these execs. How does codeshares with smaller airlines work into scope clauses? In theory, could Alaska take over some of the California American Eagle routes run by SkyWest (who already works with Alaska), and then immediately code-share some of the seats back to American, preserving American’s access to the market while freeing American to fly a scope-limited aircraft elsewere? Omitted – In theory that could happen in general (though I think there are some restrictions on American here from both the feds and possibly from pilots). But it wouldn’t be ideal for American anyway, because it wouldn’t control the capacity. Maybe I’m naieve, but it seems to me that all sides would be served if the size of regional aircraft are increased in exchange for fewer aircraft being allowed under the scope. Fewer planes = fewer jobs outsourced. United can fly as many 70+ seat airplanes as it wants without changing anything… It just can’t OUTSOURCE it to another company. No scope relief is required at all to implement Kirby’s fleet plan. Key thing, the price per available seat mile is over 30% higher on United’s regional operation than mainline. If Scott wants to make the case, he will need to address this discrepancy. Note, this is the case with all legacy airlines. The mainline CASM is in the low teens while the regional CASM is in the upper teens to around 20. Unfortunately it isn’t clearly listed in the quarterly reports. The price usually doesn’t include fuel, and in the case of United’s last report, it wasn’t included at all. But both can be calculated out with the data provided. David – Sure, unit costs are always higher on smaller airplanes. But if you can’t fill 125 seats, then it doesn’t matter what the unit cost is. You still need the right size airplane for each market.